Discussion and questioning are two of the most targeted areas of classroom observation and evaluation. The focus has resulted in modified classroom configurations ("u" shaped seating) , varied seating options (table vs. chairs), technology infusion (online discussion forums), and professional development regarding instructional strategies that promote collaboration (think-pair-share, turn and talk). At the heart of a collaborative classroom is the formulation of "good questions". The format of the questions dictate the result. There is a very defined purpose for asking recall or recitation questions. It provides teachers and students an opportunity to check for understanding. In my experience, this is the most prevalent form of formative assessment used in schools today. The use of technology ( student response apps) and various other instructional strategies (exit tickets, answer cards) provides teachers with data that encapsulates the entire class instead of an answer from a single student. There is ample research to suggest that when students engage in active discussion regarding a topic they develop a more thorough understanding. The engagement in discussion provides students the opportunity to reflect, make connections, validate their knowledge and receive alternative perspectives from their peers. Shifting from recall to discussion requires planning, preparation, scaffolding and reflecting. To be blunt, it requires training for teachers and students. Teachers and curriculum supervisors work collaboratively to develop "good questions". A good question allows students to form opinions, provide supporting evidence, make a personal connection, present their ideas and respond to feedback from their peers. When in development, teachers consider and anticipate student responses and adjust their questions to accommodate them. The above mentioned does not come naturally. It must be modeled and reinforced. How have you provided students the classroom "norms" for effective discussion? Are students aware of the expectations for effective discussion. Have you posted them in your room? Students need to be instructed on how to dissect a question and participate effectively in a group discussion. How do you dissect the question and establish your personal connection and need for clarification? How do you create "mental space" for peers to formulate responses and contribute to the group? How do you ensure everyone shares their connections and is an active participant in the group? 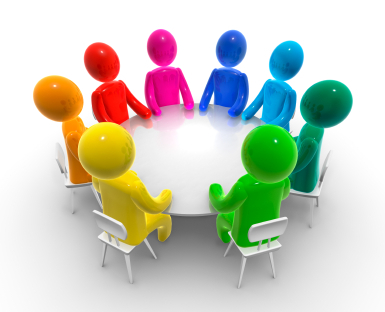 What roles can you assign to group members to ensure a productive exchange? Is it necessary to provide a graphic organizer or outline to guide students progress? How will the ideas of a group be shared with the whole? There are a variety of resources and publications that assist teachers in the development of effective discussions and productive group work. My goal with this post is to spark a self reflection regarding your own classroom. How effective is your classroom discussion and should it be an area to further explore?